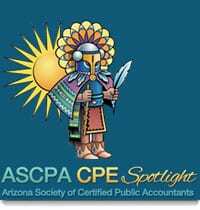 The Law Firm of DeConcini McDonald Yetwin & Lacy announces Attorney Jim Susa as the invited guest speaker at the August 13th Arizona Society of Certified Public Accountants Luncheon. During this luncheon, Jim Susa will be giving an update on taxes that affect the state of Arizona and the Tucson area. He will be discussing recent legislation in the state and court decisions that will affect the upcoming tax season. He will also review Arizona Department of Revenue developments from the past year. Jim Susa is recognized by the State Bar of Arizona as a certified tax specialist, and is a member of the State Bar of Arizona Legal Specialization Board Tax Law Advisory Commission. He is also licensed to practice law in Nevada.